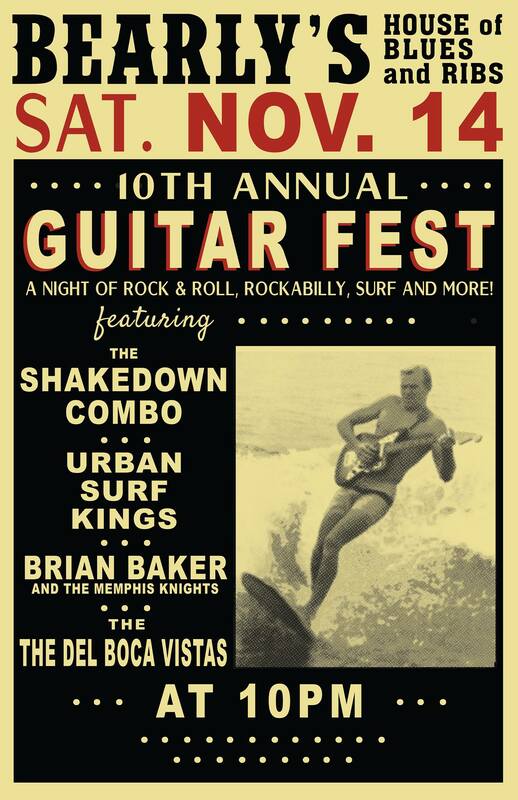 Urban surf Kings, The Shakedown Combo, Brian Baker & The Memphis Knights, and The Del Boca Vistas play Link Wray’s Rawhide. Urban Surf Kings’ 7 song CD-ep, Snowman Rumble!, is back in time for the holidays. This classic holiday surf album was originally released in 2004, and has not been available for many years. Treat yourself, or a loved one to a copy this Holiday Season. Big Tiki Dude called Snowman Rumble his 2nd favourite Holiday release, after the Blue Hawaiians. He announced this from the stage at Surfer Joe Festival in Italy this summer. That’s a pretty keen endorsement!